This is an index page for corner enclosures created from a 3-4 point and one more stone of the same colour. A few of these are very common, while others are extremely rare in high-level games. 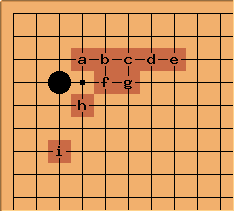 Also of interest is the page on 3-4 point enclosure joseki.